Click here for larger list of support services. 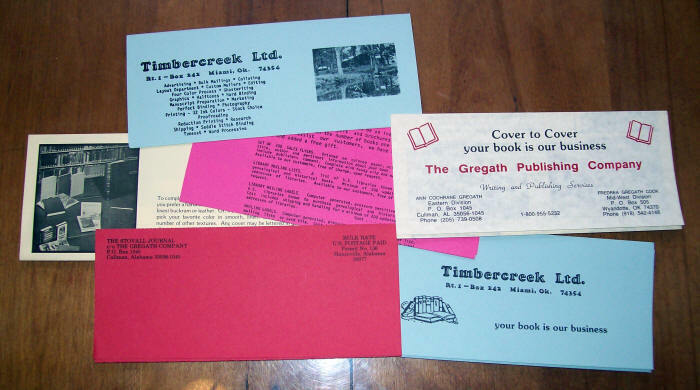 As a full service printer and publisher, we do have many facets to the services and support we offer. Allow us to be your print service provider (PSP) with as much or as little assistance as you require. Additionally, a genealogist or historian may find our additional services below of interest. If you have something you need help with, contact us - even if you don't see it listed. The fees and services listed here are popular, but not all of what we do. Staff time is currently charged at $20.00 per hour with a $25.00 minimum for many services. Please contact us for quotations for services you need. Brochures We offer a variety of packages or custom order. Flyers We offer a variety of packages or custom order. Electronic Publishing (Disk or Internet) and ultra-small run book publishing (1-99)/Print on Demand (POD).